At the Hidden Valley Ashram Center, men who are students of the Self-Realization Fellowship Lessons will find an environment conducive to God-centered living in the tranquil beauty of the ashram and surrounding hills. Among the oak covered hills, secluded trails beckon. Discover striking rock formations and expansive views around the next corner. Find your own ideal spot for meditation, relaxing and enjoying God’s beauty. Experience group meditations, inspirational classes, satsangas, service, recreation, fellowship, spiritual counseling, and time for solitude and reflection. The ashram also features a swimming pool, a gym, and a library. 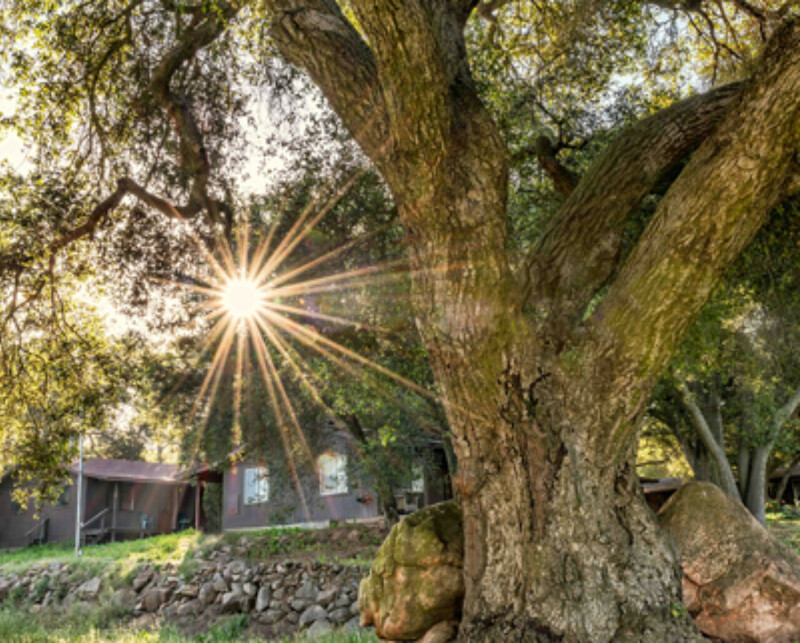 Hidden Valley Ashram is a monastic facility operated by Self Realization Fellowship monks in a peaceful, rural district in the hills above Escondido, California. Ashram residents grow food for ashram use and perform other necessary work as part of a balanced monastic life. Guests of the ashram have an opportunity to engage in personal meditation, study, introspection, and recreation, as well as sharing in the scheduled and spontaneous activities of the ashram. These occasional weekend program offer focused classes, meditations, and introspection, balanced with free time — geared to improving one’s understanding of the Self-Realization Fellowship teachings and meditation techniques. This program provides SRF Lessons students an opportunity to live and serve for up to four weeks in an ashram environment. Volunteer Guests are assigned an ashram duty and serve along with ashram residents. Resident Volunteers participate in all aspects of ashram life for up to two years. Receiving training in the teachings of Paramahansa Yogananda, they learn as they live in a spiritually supportive environment. This program is for single men with no dependents, who have been students of the SRF Lessons for at least six months and can communicate in English. Please call between 8:30 am and 4:30 pm (Pacific Time) Monday through Friday. For directions and more information, please visit www.hvashram.org.